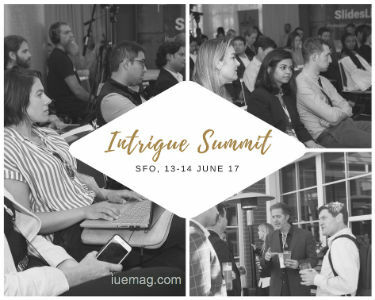 Intrigue Summit in San Francisco Organized by Salesgasm on 13th& 14th June 2017 at Sessions at the Presidio, San Francisco, the 2-day Intrigue Summit gathered hundreds of digital marketing professionals from the USA. These experts shared with each other intriguing and latest ideas for their digital marketing endeavors. Also, they leveraged the summit to broaden their networking base and better connect with the digital marketing connoisseurs. 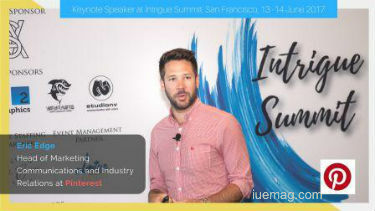 The speakers at Intrigue Summits were experienced professionals who are passionate about marketing and hold a senior position in their respective organizations. The speakers who shared their insights on digital marketing at Intrigue Conference include but not limited to Eric Edge (Head of Marketing Communications and Industry Relations at Pinterest), Randy Rayess (Co-Founder at Outgrow.co), Eli Schwartz (Director of International Marketing at SurveyMonkey), Rahul Khanna (Global Head - Marketing and Advertising Negotiations at Uber), Andrew Cohen (Vice President - Global Brand at Visa), etc. The day-1 of the conference began with the registration and welcome tea. Further, there were keynote sessions on "using Visual Discovery to inspire consumers to act" and "Content Marketing: How to work less and win more" by Eric Edge and KirstyHulse, founder and MD –ManyMinds respectively. A couple of networking and tea breaks among the various innovative sessions gave an opportunity to the attendees to interact with others and share their thoughts on either the previous sessions or the upcoming ones. The second day at the digital marketing conference followed the same schedule and agenda with some interesting keynote sessions on SEO, branding and designing, best practices in digital marketing, etc. The second day of the Summit concluded with closing remarks. The diamond sponsor of the Intrigue Summit was VSA Partners. The gold sponsors of the conference hadOutgrow, Slides Live, A52 Signs & Graphics, Wobot, Webeasts and Studionv in the bucket. Robots & Pencils, First Person, Ayima, Grey Matter Marketing, Manyminds, EmPower Media and Neyox were the silver sponsors of the event. Resplendent Photography, Cinch, LB Alliance were the official photography partner, event staffing partner, and event management partner respectively. The Media Partners of the Summit were E-Commerce Nation, Blogs Release, AppFutura, MobileFirms, CrowdReviews, CMS Wire, F6S, TheTechPortal.com, MediaBuzz, Research and Markets, and iUeMagazine. Salesgasm is a professional sales and marketing training facilitation company that organizes world class conferences and expos across the globe focused on Sales and Marketing attracting the finest professionals and bringing them together under one roof to get educated, network and generate business. Some of its latest marketing conferences were held at New York, New Delhi, Sydney, HongKong, etc. 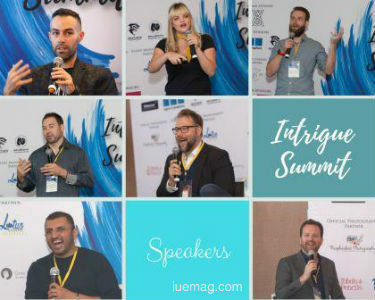 The upcoming Intrigue Summits by Salesgasm will be held in Singapore (26-27 July 2017), Sydney (Sep 2017), London (Oct 2017), Hong Kong (Nov 2017), and Los Angeles (Dec 2017). Any facts, figures or references stated here are made by the author & don't reflect the endorsement of iU at all times unless otherwise drafted by official staff at iU. This article was first published here on 3rd July 2017.